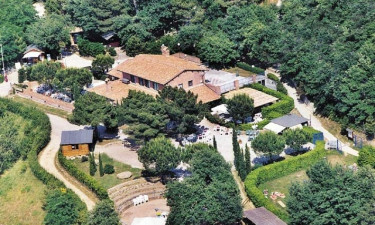 Barco Reale is an impressive luxury camping site located in the heart of immortal Tuscany. 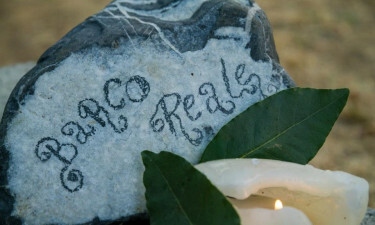 It offers a choice of on-site activities, stunning natural settings and family-oriented entertainment. To learn more about this camping holiday, please take some time to contact LUX-camp. Why Should I Choose Barco Reale as a Holiday Camping Site? No less than 265 tourist pitches. The ability to choose quality mobile homes, tents or caravans. A fully-equipped luxury camping site. This luxury camping resort is unique in the fact that it is located atop a hill within an airy pine forest. This is perfect for individuals and families that wish to experience nature at its finest. Local excursions offer endless hours of healthy living and of course, such settings provide some truly stunning photo opportunities. One can also rent a bicycle within this holiday camping site to partake in a full day of outdoor adventures. While the natural ambiance is certainly not to be missed, it is also necessary to point out that Barco Reale offers all of its guests only the most modern amenities. Fifty individual washing cubicles are available for added discretion and baby changing facilities are only a few minutes away from any mobile home. An Internet terminal, power supplies to each pitch and waste disposal facilities round out what this camping holiday has in store. Guests here should always take advantage of the on-site activities that this luxury camping experience offers. 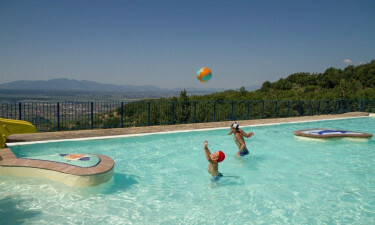 Some of the leisurely pastimes to enjoy include an open-air pool, entertainment for children and table tennis. Venturing a bit outside of these confines provides further opportunities such as golf, miniature golf and even access to thermal spas. A combination bar-restaurant is found within this luxury camping site. Chefs Paolo and Roberto are pleased to provide all of their guests with what can only be called a true taste of Tuscany. Meat, fish and pastas predominate the dishes here although international tastes are catered to and a slice of traditional pizza could be an excellent choice. 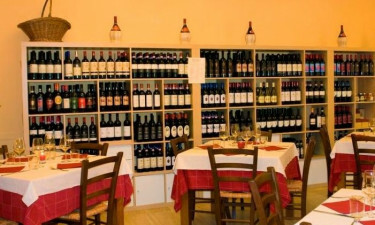 A bar will supplement such delicacies with a selection of full-bodied wines or a tempting "cafe Italiano". The service is friendly and the staff are happy to speak English. This notion of camping luxury is further enhanced thanks to on-site provision facilities. A supermarket will offer a choice of meats, fish, fruits and vegetables. This facility also doubles as an ice cream parlour; perfect for taking the edge off of the warmer days of the year. 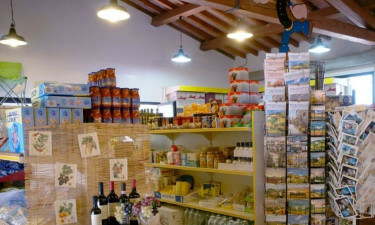 International products such as magazines and newspapers abound and a selection of quirky souvenirs will help to provide lasting memories and gifts. Just contact LUX-camp for further details in regards to what this amazing camping holiday has to offer for you and your family.